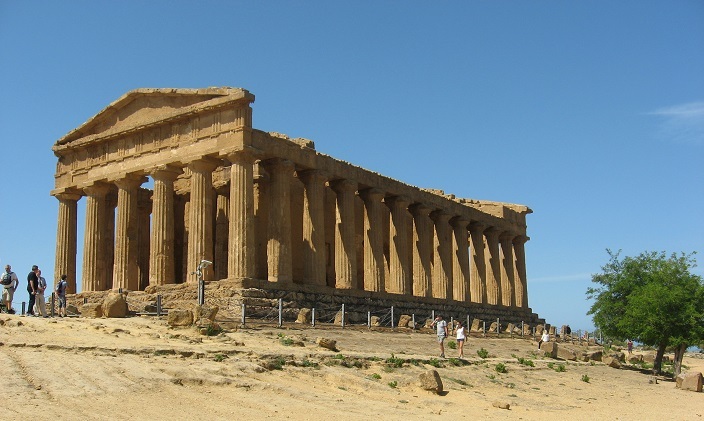 Agrigento – Valley of the Temples! We arrived at Porto Empedocle, Sicily,this morning and spent much of the day at Agrigento which is home to the Valley of the Temples, which is one of the largest collections of Greek temples in the world. 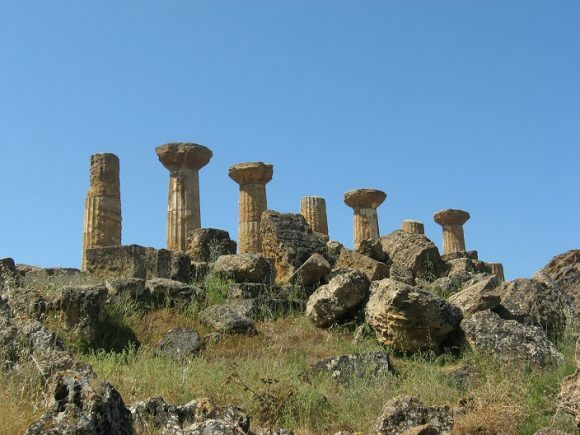 Originally there were at least twenty-one temples in what was then the city of Akragas. 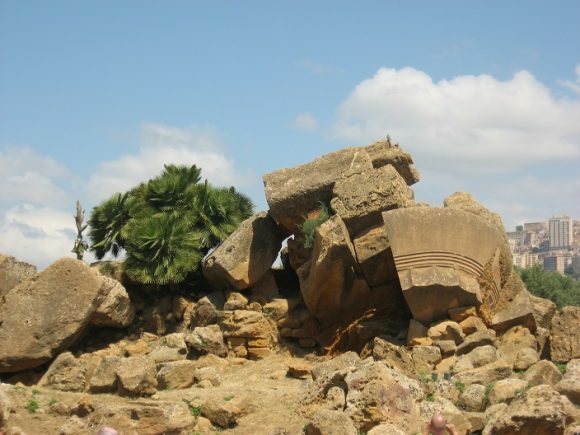 Ten of the twenty-one temples have been discovered. 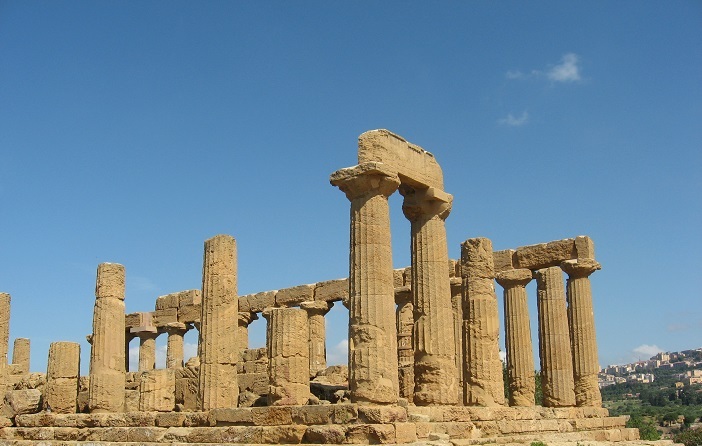 They all represent the Doric style which do not have any ornamentation on the top of the columns. 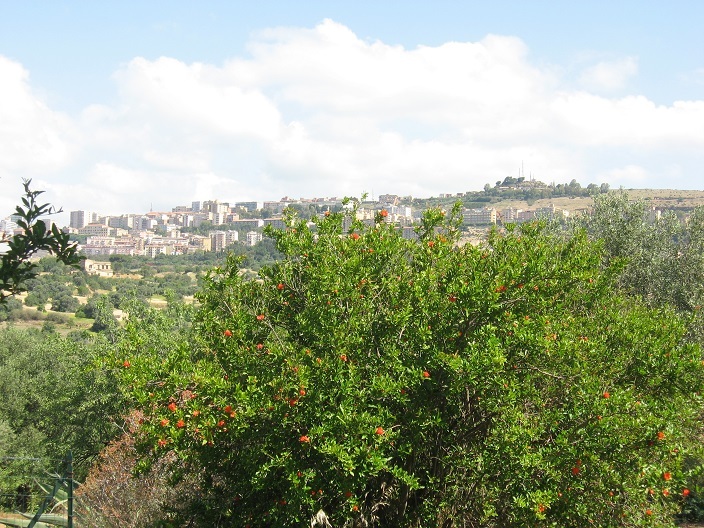 In addition to housing the temples, the Valley has orchard after orchard of olive, almond, pistachio and pomegranate trees. The Temple of Concordia (it is not known who this temple was dedicated to and was given the name “Concordia” by the Spanish. The Temple of Hercules (the oldest temple – built in the 6th century B.C. The remains of the Temple of Zeus (probably the largest Greek temple ever built in the world measuring 112 by 56 meters. The guide Giovanna had an incredible repertoire of information on the history, architecture and culture of the Greeks at the time the temples were built. 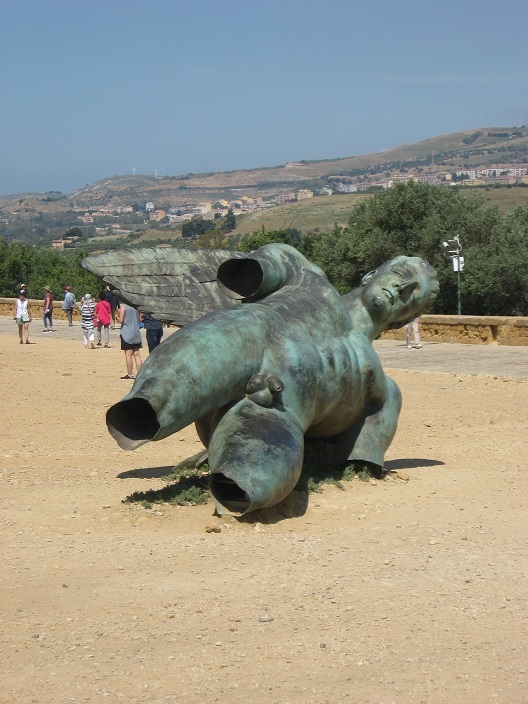 ← The Island of Gozo!